This year’s event brought together the experiences of our neighbouring countries Scotland, Wales, England and Northern Ireland. We explored what works well and what we can learn from one another by collaboration and sharing of knowledge. As our nearest neighbours the challenges are very similar i.e. rural isolation, social isolation, lack of services, duplication of services, lack of information, so comparing and learning from one another is the best way forward. The day brought together those who are living with a dementia diagnosis, their supporters/carers, family members, wider communities, medical professionals, policy makers, business organisations and the services. Agnes Houston MBE- Scotland – Agnes was diagnosed with Early Onset Alzheimer Dementia in 2006 at the age of 57. Agnes has completed incredible work on the sensory challenges faced by those with a diagnosis. Nancy McAdam -Scotland – Nancy was diagnosed with vascular dementia in September 2003 at the age of 58. Nancy lives on a remote croft, 27 miles from Inverness and has been active in building awareness and setting up supports since 2004. Nancy was a founder member of the Inverness Dementia Memory Group – the first Highland Involvement Group of People with a diagnosis of dementia. Chris Roberts/Jayne Goodrick – Wales Chris was diagnosed with mixed dementia in 2012 at the young age of 50. Chris is a board member of Dementia Alliance International, Vice Chair of the European Working Group of People with and a member of the 3 Nations Dementia Working Group. Jayne and Chris talk about family struggles, highs and lows of living with dementia. Helen Rochford Brennan – Ireland – Helen was diagnosed with early onset Alzheimer’s disease in 2012. Helen is an Advocate and Global Dementia Ambassador she is a strong voice in the battle to obtain Human Rights for those living with Dementia not just in Ireland but globally. Helen is Chair of the European Working Group of People with Dementia and Board member of Alzheimer Europe. Prof Anthea Innes – Scotland/England – Anthea is a social scientist who has specialised in dementia research for the last 20 years. Her research interests focus on hearing the views and experiences of people living with dementia are confirmed participants to date; their care partners and paid care workers. Her particular areas of interest include rurality; technology; improving care and support for those living with dementia; creativity and the arts. Dr Dianne Gove – Alzheimer Europe – Dianne was awarded a PhD in 2013 for her research exploring GPs’ perceptions of dementia and how these relate to stigma and timely diagnosis. She has worked on a wide range of topics covering care, legislation, continence problems, advance directives and social support. She chairs AE’s ethics working groups which have produced reports on assistive technology, dementia research, the portrayal of dementia, restrictions of freedom and ethical dilemmas. Ann Twomey – Ireland – Ann, a former Carer for her late husband, was Co-Founder of the K-CoRD project (Kinsale Community Response to Dementia) one of 4 Pilot Sites in the Genio Dementia Programme 2012-2015 and funded by the Atlantic Philanthropies. 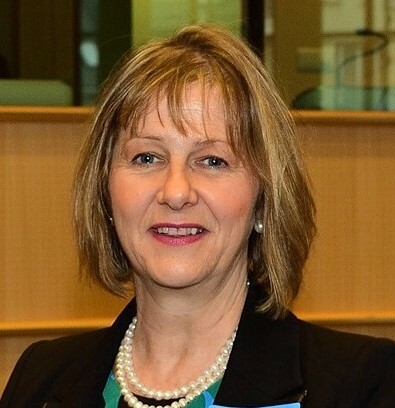 Ann is a member of the Advocates Advisory Board of the Dementia-Neurodegeneration Network Ireland (DNNI) at the Mercer Institute, St James Hospital and also a member of The Alzheimer Society of Ireland’s Dementia Carers Campaign Network (DCCN). Dr Suzanne Timmons – Ireland- Suzanne a geriatrician in Cork city, and Senior Lecturer in the Centre for Gerontology and Rehabilitation, UCC, where she holds the position of Programme Coordinator for the MSc in Older Person Rehabilitation. Suzanne has a special interest in health service research and quality improvement in the area of dementia and delirium care in acute hospitals. She co-led the Irish and Northern Ireland National Audits of Dementia and, on behalf of the National Clinical Programme for Older People, Suzanne is the Clinical Lead in the National Dementia Office. Kieran Walsh – Ireland – Kieran is a PhD scholar and pharmacist based in University College Cork. For his thesis, Kieran is exploring the use of antipsychotics in nursing home residents with dementia. Prof Eamon O’Shea – Ireland – Eamon is a Personal Professor in the School of Business & Economics and was inaugural Director of the Irish Centre for Social Gerontology (ICSG) at the National University of Ireland, Galway. His current research is focused on: the economics of dementia, health care evaluation and rural ageing. Also involved and participated on the day were Pat McLoughlin CEO Alzheimer Society of Ireland, Pat Holmes CEO Western Alzheimer, All Ireland Institute Hospice Palliative Care, Dr Sabina Fahy Consultant Psychiatrist, Maria Carroll. Natasha Walker is a communication consultant and has been living in and working from Heidelberg, Germany, for 23 years, where she is married and has two children. After her degree in English Literature and Modern Languages at Oxford University, Natasha discovered her knack for facilitating complex change and strategy projects for corporations, governments and civil society. She is also specialised in supporting teams going global. Her work makes decisions more effective and changes the way people work together. An avid reader and musician, Natasha has recently picked up her pen to rediscover poetry. Natasha is an expert for communication, focusing on facilitation, participation and designing complex dialogue processes. Her work results in effective strategy implementation, sustainable change and organisational development. Natasha founded her own consultancy company in January 2010: NWA. Read more about Natasha. Josephine Lally has worked in Community and Rural Development at both local and national levels. Some of her experience includes working as Regional Policy Co-ordinator of the Community Development Support Programme in the Western Region and as part of EU EMPLOYMENT NOW Technical Support Unit (National Women’s Council) providing operational, technical and policy development support to 104 nationally diverse projects, focusing on piloting innovative proactive approaches to women’s problems of exclusion and inequality in the Labour market. In recent times, her research, training and evaluation experience has focused on equality, disability, poverty and social exclusion. A core ethos of her approach is facilitating and supporting groups and individuals she works with to organise and voice their issues and concerns for themselves.